Davis Ink opted for help from a company it had worked with successfully before – which is why it turned to Sound Investment. Dean McNaughton, Co-owner of Sound Investment, explained how the project at Time came about: “We’ve worked with Davis Ink on a couple of projects in San Diego – PARQ and Fluxx. We like what they do and they like what we do – and they thought we’d be a good fit for the project, so they recommended us. The audio system was paired with a range of Full Fat Audio amplifiers – FFA-6004’s, FFA-6000’s, FFA-10000’s and FFA-4004’s – along with a Yamaha mixing console that was already at the venue, ensuring that the sound was ideal for Time. 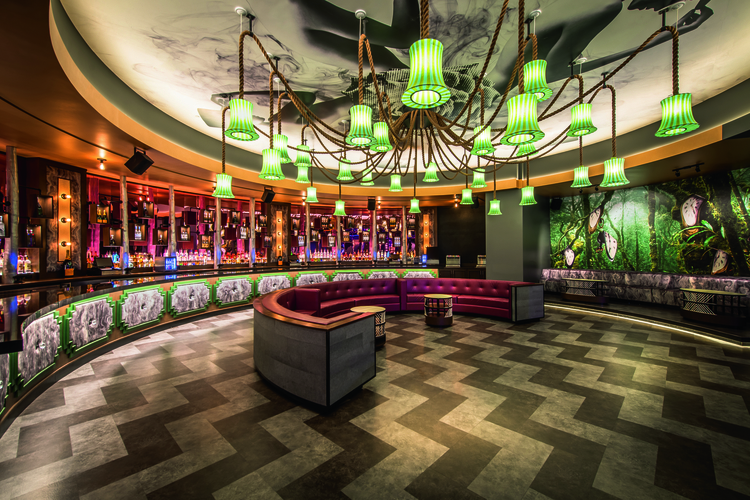 SJ Lighting worked closely with Davis Ink to identify a focal point location that they could base everything off. This is when the centrepiece chandelier became the main feature, reflecting the organic shape of the venue. 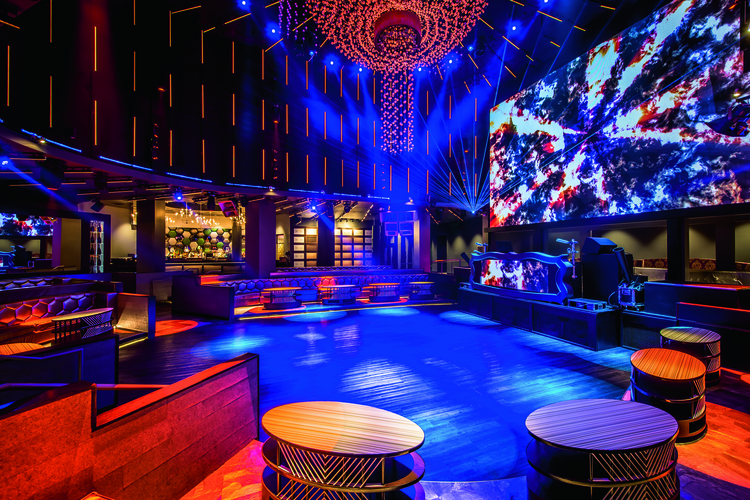 Comprising of 90 Chauvet Motion Orbs that are draped through custom fabricated metal rings and pixel mapped using Madrix software, it offers the classic decadent look of a hanging chandelier, while the new technology delivers a modern spin on it. 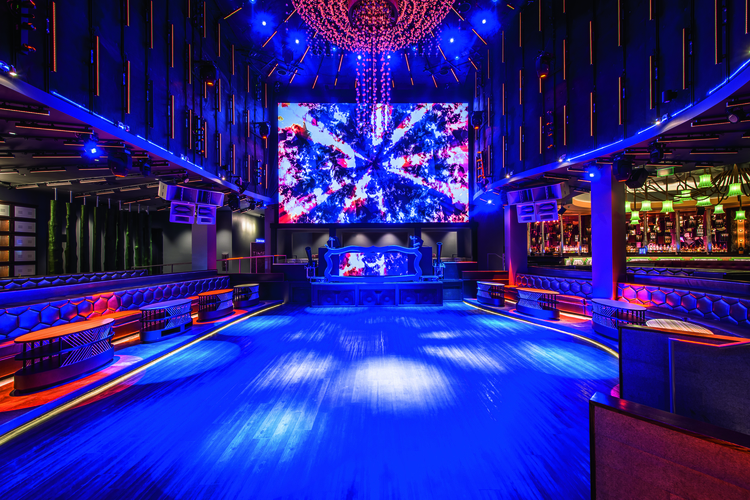 Elsewhere, a whole range of Elation Pixel Bars line the vertical walls over the dancefloor, creating a incredible, eye-catching display, while the Chauvet Rogue moving lights are spaced appropriately to ensure there is even coverage throughout Time. For the lighting control, an MA Lighting grandMA2 light is used as the main console, with Madrix controlling the pixel-based lighting and Resolume delivering all the video content to the LED screen – both of those controllers are mastered by the MA Lighting console via ArtNet, too. 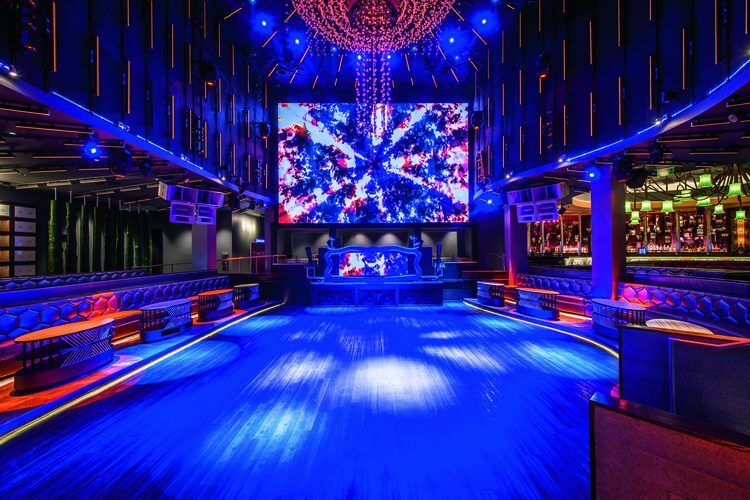 The space is very unique – no straight lines, for example – while the shape of the dancefloor and the heightened ceiling above it are organic. These scenarios pose a challenge in that the system needs to highlight the geometry of the space, while, at the same time, have the foundation items required to create a dynamic light show. It’s clear that they have achieved just that with Time.